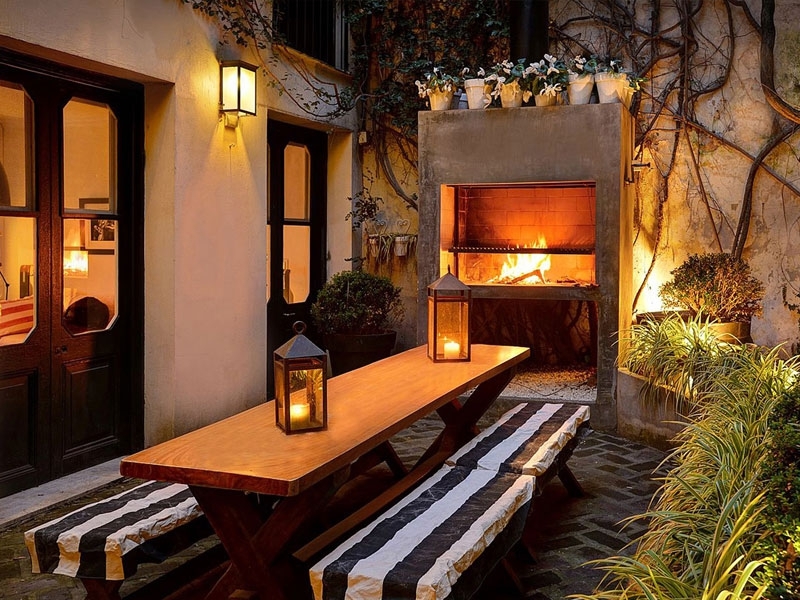 Apartment in Recoleta, Buenos Aires - Pacheco Perfection ! Eclectic 1720 square feet two bedroom apartment in the heart of Recoleta neighborhood, within walking distance to must-see sights, great bars and wide choice of restaurants. From them moment you walk in through the main door of this building, the open wrought iron elevator will definitely make an impression. Once at the apartment, contemporary furnishings blend to perfection with art decó details to create the perfect atmosphere. Its high ceilings and exposed brick wall may be the first thing that catches your eye, but everything is in the details. The original tiled floor at the reception hall works in perfect harmony with the hardwood floors and exposed concrete and iron structures. The spacious main living area has plenty of comfortable seating space, a 32’’ screen TV with Cable and provides access to the french balcony. Turn on your chandeliers and think of Paris! The semi-open plan kitchen is fully remodeled and comes equipped with everything that you may need, and a little more. Plenty of space and high end appliances definitely make this kitchen a chef’s delight! Right above the kitchen you will find a second lounge area, that overlooks the main living area. 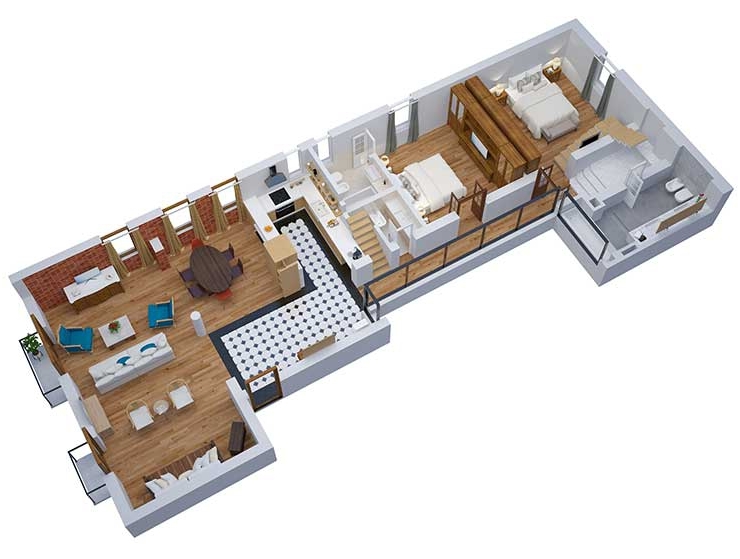 Walk across the vitraux wrapped corridor and you will access the master bedroom. Very generous in size, it features a king size bed and a very well appointed ensuite bathroom. There is also a smaller room that acts as a studio. The second bedroom is also ensuite, and features a king size bed. Both rooms come equipped with 32’’ screen TVs. Located in what’s arguably the most historic neighborhood of Buenos Aires, Recoleta is home to some of the city’s best hotels, bars and restaurants. With its wide avenues and upmarket shops, this makes a great place to sit back and watch the world go by in one of the many chic cafés surrounding Pacheco Perfection.